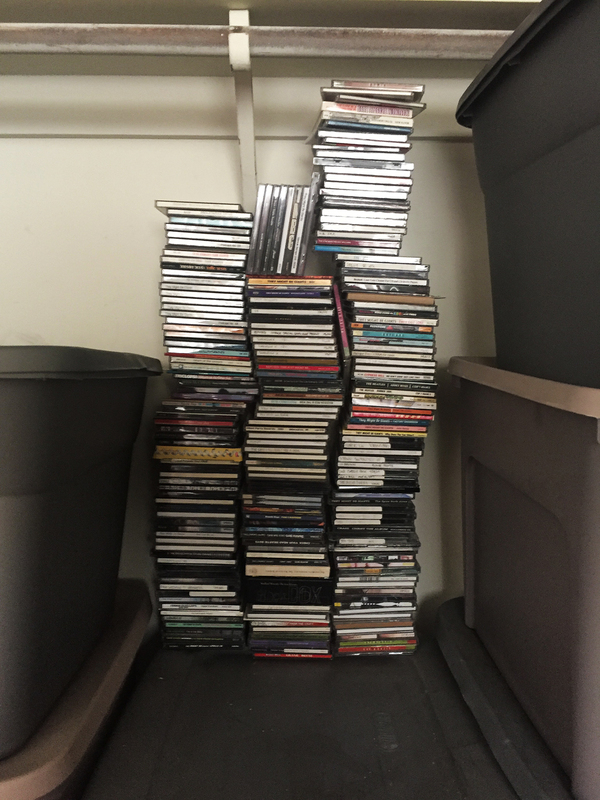 This is, sadly, what is left of a once 1000+ compact disc collection. What’s worse, it now sits deep within the frigid bowels of our guest room closet. (Sigh.) Adequate space for LPs is not the only format issue to overcome it appears.